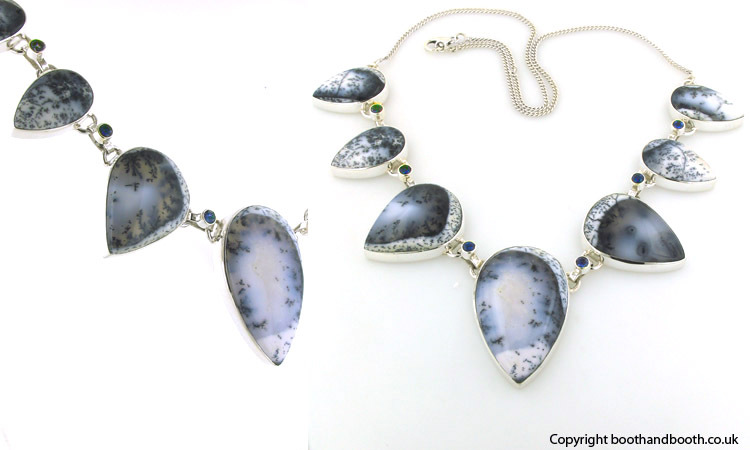 Dendritic agate necklace with iolites. 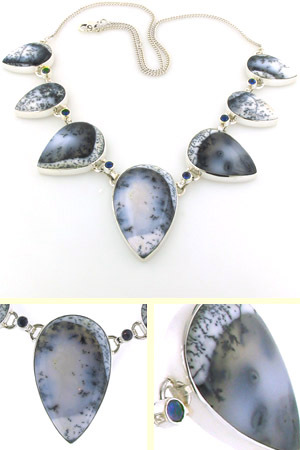 This beautiful dramatic necklace features large, exquisite dendritic agate gemstones. 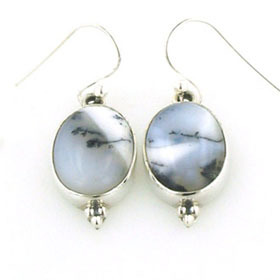 Dendritic agate is a spectacular semi-precious gemstone which combines white, greys and black into a moody snowscape. Each stone is different with its own picture and each necklace has hand picked gems chosen to coordinate well together. The indigo coloured iolites interspersed between each stone gorgeously set off the colour of the stones. 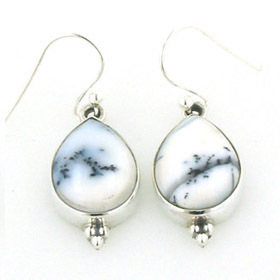 Team up with a pair of dendritic agate earrings.